Hernando de Soto is President of the Institute for Liberty and Democracy (ILD), considered by The Economist as one of the two most important think tanks in the world. Time chose de Soto as one of the five leading Latin American innovators of the century in its special May 1999 issue “Leaders for the New Millennium”, and included him among the 100 most influential people in the world in 2004. In its 85th anniversary edition, Forbesnamed Mr. de Soto as one of 15 innovators “who will reinvent your future”. 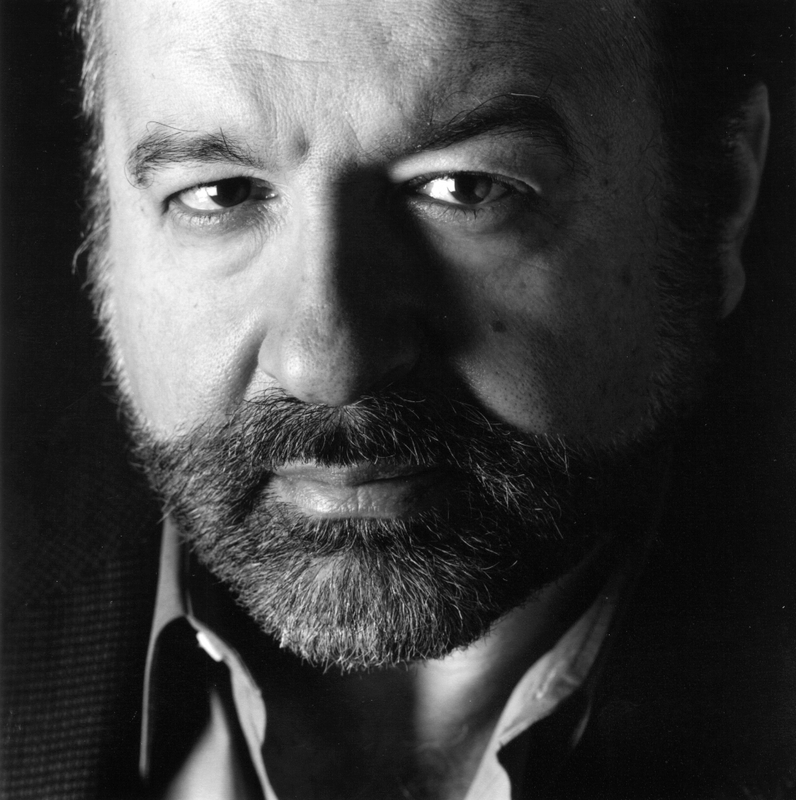 In January 2000, Entwicklung und Zusammenarbeit, described de Soto as one of the most important development theoreticians of the last millennium. In October 2005, over 20,000 readers of Prospect magazine of the UK and Foreign Policy of the US ranked him among the top 13 “public intellectuals” in the world from the magazines’ joint list of 100. Hernando de Soto has served as an economist for the General Agreement on Tariffs and Trade, as President of the Executive Committee of the Copper Exporting Countries Organization (CIPEC), as CEO of Universal Engineering Corporation (Continental Europe’s largest consulting engineering firm), as a principal of the Swiss Bank Corporation Consultant Group, and as a governor of Peru’s Central Reserve Bank. The focus of your work is the formalization of capital and business rights. In countries where the legal system and tradition have given place to the lack of accurate parameters to define property limits, resolve ownership conflicts, and accurately record property, where does the process of formalization begin? The first thing you should do is look at each country –because things usually go by nations and regions– and see if there is indeed a rule of law that covers everyone. The point to determine then is whether the things that people own, or the things that they control or own (or want to control and/or own), or the things they want to turn over to a company to make products of greater added value, are protected by law. And that requires, in our view, a relatively easy-to-make inventory, which allows us to determine not only if the law says that everyone has access to property and to transform it inside a company, but also what things are actually covered under the law. And here is where we realized, for example in the case of Mexico, which we studied, that many companies are formed as “unipersonal” or “physical” companies. And when you ask, “Okay, and these “unipersonal” companies or individuals: can they raise capital, put the company as collateral, issue shares to receive investments, be organized in a hierarchy and share liabilities? Do they have access to free trade agreements?” Well, it turns out that most of these companies in Mexico do not have those rights. So, for us, all of these companies are extralegal; not that they are illegal, but that they simply do not empower the person who owns them with the necessary instruments to divide the work in a way that raises productivity and takes the to the modern world. The same applies to property rights. We have found that everyone [there] should have the right to property. However, some act as collectively organized groups (for example, the “ejidos”), and when we went to investigate them we saw that ownership of land was handled individually, but the title they had was a collective title because they could not make the necessary arrangements to divide the property. Again we have a situation where there are legal documents involved, but, ultimately, rights do not stem from them. And so, easily, 50% of Mexico could be extralegal. And this [pattern] is more or less repeated, country to country, [affecting] between 50% and 90% of the economy. Part of the solution to the issue of property rights can be provided by the private sector. Such is the case with the title insurance companies in the United States. These companies operate as an essential element within the legal system to further guarantee real estate transactions. However, these insurers have tried to export their model to developing countries and have not succeeded. Why? I would say that it is because when you have a title or a title you have insured by these companies, you need for that title to be registered somewhere. And what happens in many countries is that the time it takes to register the things that are of legal nature can be infinite. For example, in the case of Egypt, the procedure to record any title, if the law allows it, under Egyptian law it can take up to two years (and we’re just talking about the time it takes to register a title). So until the standard for the implementation of these legal procedures is modified, the system will not work. The legal system is too expensive for low-income people and the result of this is that [squatters] prefer to stay informal. Yet we now see that the greatest economic crisis ever has originated in industrialized nations where all of those property and entrepreneurial rights and mechanisms exist, and where there is indeed a market economy and a consolidated democracy. What happened? In my view, what happened there is that they forgot the importance of recording their payment mechanisms as well. In other words, if you look at what constitutes the liquidity of the US, you will find a portion of money that is produced by the state –the dollars. And this money is backed by the strongest state in the world. In the US, as well as in European countries, they have also allowed for the creation of what might be called “private liquidity.” Such a private liquidity is not necessarily money, as it can take the form of values or certificates or documents or derivatives… all of which are backed –presumably– by assets that exist in the country and which are then placed in the market. So, basically, these instruments are backed by a private contract, as can be, for example, a mortgage security. That’s liquidity, because, effectively, with that mortgage security, derivative, etc., you can make payments, create companies and make investments in the same way that you can with a dollar. But it is private money. There really is no problem here because what banks do is create private money. When a bank grants you a loan, it is basically crating private money for you. Rarely do you see the cash, because you use bank accounts to transfer it around, but it is money that the bank has created for you. What has happened, and it is something to which we have become accustomed without discussing it first, is that this private money has not been recorded. Just as your dollar –or peso, or euro– has a little number on it that indicates to which part of the national inventory it belongs so it can be traced, the same thing happened before with all private means of payment. But over the past ten years or so, when this private liquidity began to depreciate (for example, the mortgage securities of low-income houses), and when people began to wonder how much of this private money that had been created was actually failing or losing value, and asked who owned it, and which banks had it, and which banks were solvent or not… then we realized that this private money had not been recorded. This is, in my opinion, for the first time in the history of the modern world, that a developed country has issued private money without recording it. Since we do not know who has what and how much of it, a great sense of uncertainty has emerged so that the very basis of the financial crisis in the United States is due to ignorance: the lack of knowledge about the amount and whereabouts of private liquidity. And why is it that the financial crisis has not spread to Latin America? Well, the problems in Latin America, Africa, the Middle East, Central Asia and former communist countries are different. The formal part of the economy, today referred to as “emerging markets,” is generally well documented in these countries. Not only the private financial instruments that are used to pay, to finance, to invest, etc. are well identified, but also those documents that measure the financial health of financial institutions such as banks are fairly accurate. In Latin America, if there is a bank, you have its “books” (balance sheets, as they are called in America) which are the indicators of the financial health of the entity. What we have seen in the United States is not only that have not recorded all of their private liquidity, but that they have several of these “books.” They have the “good books” where all their healthy assets are recorded, and they have the “bad books” where all their assets that cannot be identified are placed. Enron, which failed in the United States some years ago, was found to have more than three thousand different books! So the problem in the United States and in developed countries is that the truth is hard to see because everything is poorly documented. Returning to Latin America and developing countries, the formal part of the economy is well documented and we do not suffer the confusion of lack of appropriate records. However, an important part of our economies is informal and not documented; we call this part of the economy not “emerging markets”, but “frontier markets’. These are areas that are far in the mountains and distant from the capitals (in my country, Peru, for example, the Amazon), where truly there are no title or titles that can effectively be used. There we have big problems which have much to do with the crisis in the north, as industrialized powers, especially Europe and North America, have bought many lands, territories and natural resources that exist in our countries in these border areas where titles are imperfect. So we have great trouble identifying things in all parts of the world, but the reasons are different. But the problem, once identified as the informality of private liquidity, instead of being tackled, it seems all governments do is buy time with temporary patches; whether via “quantitative easing,” bailouts, etc. How much longer can we delay the resolution of the underlying problem? That obviously is an enigma. When you wear a patch you do not solve the underlying problem, your suit is still falling apart, your house is still falling apart, or your car is still falling apart… you wear the patch because it may last and keep things together for a while, even several years. But you know that the patch will not last long. None of these patches will work, and everything seems to indicate, for example in the United States, that we have until August 2nd to see if the current patch (which is to continue to finance debts, voids or lack of private money because no one is confident in the patch itself, by issuing inorganic money inorganic through the Fed) is now coming to an end, right? Because if on that day there is no authorization from Congress to continue to issue patches –meaning that we can continue to create larger deficits– the building will start falling apart. And the same thing is happening in Europe in regards to Greece. We now know that Greece has failed, that the patch that has been applied will never be repaid, and that, at some point, Greece will have to cease payments. Therefore, everything that is being done are patches, instead of solving the basic problem which is too much private liquidity gone out of control. And no one really knows who is insolvent. In some months, in some years, at some point things will fall apart. However, it is difficult to know when exactly and how it will fall apart because much depends on political decisions. In the case of Europe, it is striking that it is precisely the International Monetary Fund, the European Central Bank and the major European financial centers that are prescribing the patches to the sickest patients. Do you see a serious defense of the euro? I think they are all serious people. But I think at some point they decided to pursue policies of applying patches, hoping that patch after patch, they will end up with a nice blanket made of patches. But the truth is that they are not solving the fundamental problem which is that there is excessive liquidity that is not recorded, and that because no one can identify the good assets there is a tremendous lack confidence. Look, perhaps the following illustrates everything a little better: when in the year 2008 the financial crisis became evident, Mr. Henry Paulson, who was then U.S. Treasury Secretary, went to the US Congress and said: “Look, we have found that there is this private money, which seems to represent assets that we do not know what they are, or who really owns them, we’ll call them troubled assets… Well, let’s do the following, we will go to banks, we’re going to ask which assets these are and we’ll buy them.” And he asks the US Congress to authorize an emergency budget of nearly a trillion dollars. And so the TARP (Troubled Asset Relief Program) comes into operation. Three weeks later, this same Mr. Paulson appears before TV and says, “Well, look, let’s use this money but differently. What we’ll do is use it to purchase preferred shares of banks and, thus, show the public that no bank is really weak and that if they were, there’s the United States government to support them –we will not allow a bankruptcy.” Naturally, a financial panic was avoided. But the basic question that I made then was, why did he not stick to the original plan (buy the the assets or instruments that were failing)? And after talking to US Treasury officials and other contacts in the White House I found out the answer: the trouble assets were not found. In other words, none of this private liquidity had been recorded, no one really knows who owns what debt, many of them are failed, and nobody knows which are they. The problem now, both in Greece and in the United States, is that by rescuing financial institutions or countries (in the case of Greece, it will become insolvent soon) we cannot identify how big the debt is or who actually owns it. Then the big problem we have in the West is essentially an epistemological problem that results in a question of knowledge, the complete ignorance of the many problems we are facing. Hence, the great insecurity. And what is happening is that states are not addressing this problem because, until now, they do not know how to do it without causing panic. Because if we do an initial inventory to find out how many big banks have these troubled assets and how much of it they have, the figure could be so negative that it would takes us to 1930. So they have not found a strategy to sincere the economy and, at the same time, avoid a panic; therefore the patches: they are hoping to go from patch to patch so that in some miraculous way things will get solved, or so they say that John Maynard Keynes said seventy years ago. Indeed, what you say is right. The idea of capitalism is, “if you fail, you fail.” One of the reasons why it has always been more interesting (even in the days when competing with communism) was because every time there was something wrong in the capitalist world, we had a bankruptcy. Then there was a whole list of bankruptcies. In the United States, there had been, until 2008, at least a million and half bankruptcies per year or so. That meant, for example, if you were going to open a pizzeria that could see the list of bankruptcies in that sector. You could discover that the pizza places that did not work were those that were in Arizona and, therefore, deduct that people in Arizona did not like pizza. Or that the failed pizzas shops were placed in a street corner, or were run by a Sicilian cook rather than Italians from other regions… Ultimately, the fact is that failure lets you know what mistakes not to make. One of the disadvantages of the communist countries was that they constantly disguised their failures, so there was no way to fix the system. Therefore, one of the serious problems we now face with these derivatives and unknown private instruments is that we do not know where our failures are. And in life, you learn more from failure than from success, because the important thing is not to repeat mistakes. In this respect, we are much like the communist countries were. Are you suggesting then that, in the case of Europe and to save the common project, we should accept a major failure in the system? Or accept multiple small failures in an orderly manner to avoid creating a financial crisis. But at least tackle the underlying problem. Dealing with the underlying problem means admitting that there are some countries and financial institutions that have failed and, of course, will go bankrupt as a result. The aim is to, at least, let financial organizations fail and if the state wants to prevent and protect, do so with depositors, but let financial institutions pay for their mistakes. Obviously, the owners of those financial institutions have managed to mount a defense to prevent politicians to even think of this possibility. The problem then is who will pay the bill for all of these worthless assets. What you see more and more is that it is going to be those of us who do not own banks or financial institutions –but whose money is in those institutions– who will ultimately pay, either by the devaluation of our currencies, higher taxes or by forcing the failure of businesses that were doing well, but that now have no way to protect themselves against these enormous financial interests. The Institute for Liberty and Democracy which you preside advises many economies in the world in the areas of property and entrepreneurial rights and instruments. Have you received any calls from Europe recently? Yes, we have. I just returned from one, and, of course, we see some of these issues. Most of the calls we are receiving are from former communist countries in relation to the same issues we are discussing now, and also to other issues that we have not discussed such as the Middle East crisis, which is also a problem, to some extent, that has to do with property rights. A phenomenon that arises because of the lack of enterprise and property rights? The Arab Spring begins, as you know, with Mohamed Bouazizi, a Tunisian street vendor who set himself on fire. Why does the self-immolation of one man sets an entire region on fire? We have found that, thus far in the region (from Morocco to Syria), there have been 39 informal entrepreneurs who have set themselves on fire. In other words, the small entrepreneurs are the ones killing themselves, not the politicians, not the religious, not the ideologues, but the small businessmen. Bouazizi committed suicide because he did not have a right to property. He could not use his home as collateral to buy the truck that otherwise was unthinkable. He had all of his assets expropriated -he sold groceries and they took the equivalent to two years of income- and was stripped of his right to be in the square were he conducted business. They killed him financially and was no longer able to survive. And, as an American banker who has gone bankrupt, he committed suicide. In other words, the Middle East crisis began because a number of small businesses that were being expropriated protested. Everything we’ve seen so far are political issues that relate to more democracy, which are also true, but the spark that ignited the prairie was essentially a crisis of ownership or lack of ownership in the Middle East. And as we consult with European countries we are discovering that these were factors that had only been analyzed by political scientists and not economists. Yes, mysteries are our business.